Use the Chimfex® Chimney Fire Extinguisher to protect your home from Chimney Fires! It extinguishes the fire in Seconds!! Trusted by Professional Firefighters, Nationwide! This Product is Currently Only "Stocked" At the Owego Store. Duraflame® firestart® firelighters are the fast, sure way to start a fire. Paper-wrapped for clean handling, they light with just one match, and burn up to 30 minutes, long enough to start the most stubborn wood fire. *This is Currently Only "Stocked" at the Owego Store. 4 Firelighters Break Apart Easily And Ignite Quickly And Burn Up To 30 Minutes. Using Quick Start Results In Faster And More Complete Ignition Of The Wood, Reducing Emissions Of Particulate Matter And Carbon Monoxide. *This Specific Fire Starter is Currently Only "Stocked" At the Owego Store. Easy to light fire starter squares burn up to 10 minutes. Suitable for Fireplaces, Woodstoves, Wood Pellet Stoves, Coal Stoves, Charcoal Grills or Campfires. Safe alternative to liquid and gel fire starters. Ideal for igniting fires, even on windy and wet days. Convenient and lightweight survival aid. Replacement gasket for airtight stoves, fireplace inserts and coal or pellet stoves. Designed to securely seal stove window glass in stove doors and openings. Prevents air leaks and improves efficiency. Withstands temperatures up to 1000° F (538 Deg. C). Includes a (2oz) bottle of Gasket Cement. Replacement gasket for airtight stoves, fireplace inserts and coal or pellet stoves. Designed to securely seal stove window glass in stove doors and openings. Prevents air leaks and improves efficiency. Withstands temperatures up to 1000° F (538 Deg. C). Includes a (2oz) bottle of Gasket Cement. *This Kit is Currently Only "Stocked" At the Endicott Store. Just Spray & Wipe...It's THAT Easy! Use a flue-renew® firelog every month during peak burning season, or one every 20-30 fires. 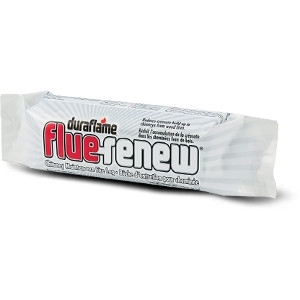 Duraflame® flue-renew® firelogs are designed for use in wood-burning stoves (including wood stoves with catalytic converters), which typically have higher levels of creosote build-up. They can also be used as a maintenance product for moderate to heavily-used open-hearth wood burning fireplaces. DO NOT use with gas fireplaces, oil stoves, or pellet stoves. 100% all natural fire starter, harvested from the stumps of resinous pine trees. Takes only two sticks to start a fire in your fireplace, barbecue, campfire, or woodstove. No chemicals, no mess, no hassle! 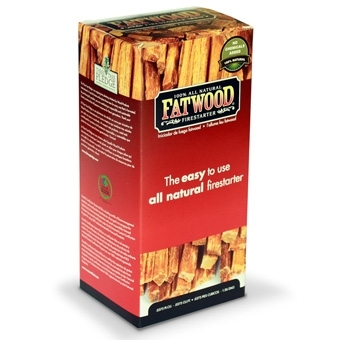 *Fatwood products are Currently Only Stocked at the Owego Store.